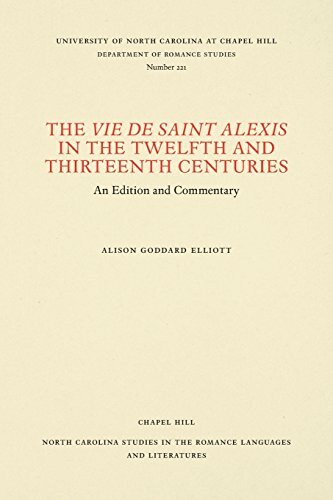 The first work of genuine literary merit in Old French is the Vie de saint Alexis, and later reworkings of it attest to its popularity. This volume offers two editions: a twelfth-century edition that was published inaccurately by Gaston Paris, and a thirteenth-century version that has not been published. These two revisions tell us a great deal about changing tastes and interests in the Middle Ages, and their implications exceed that of the fate of a particular work.